Would you like to sculpt and define your thigh muscles WITHOUT adding a lot of extra bulk? If so, this article is for you. I aim to set you up with everything you need to know to start training your quadriceps safely and efficiently. There is definitely a right way and a wrong way to work the quads. Let’s get specific and make sure you learn what you need to do to accomplish your quad goals! I would like to begin by busting a pervasive and annoying fitness myth. Working the quad muscles will NOT burn fat directly off the thighs. Physiologically speaking, this is simply not how fat loss works. 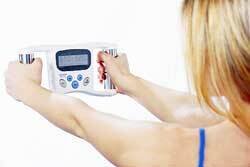 When you lose fat, it happens by getting your calorie burn (exercise & metabolic processes) to exceed your calorie intake. The fat loss will happen from fat stores all over your body and it is impossible to force certain areas to lose more quickly. That being said, if you are looking to lose body fat, quad and thigh workouts are still an important piece of the picture: they burn a lot of calories because they use large muscle groups. Also, adding muscle tone to the area can go a long way toward improving their appearance and firmness if you are on smart fat loss fitness plan. And if you are already where you would like to be in terms of body fat, quads workouts will firm, tone, and build the muscles. Now that we have that covered, keep reading to learn basic anatomy of the quadriceps, tips and guidelines for maximizing your quads training sessions, cardio tips for thigh building and toning, nutritional tips for building muscle and losing fat, advice on how to fit quads workouts into your overall fitness plan, as well as (of course) all the details on the best quads workout itself. Let’s acquaint you to the basic anatomy of the quadriceps. Quadriceps means “four heads” and the muscle is so named because it has four distinct parts that work together he quadriceps muscle group is made up of four parts: the rectus femoris running down the middle toward the surface, the vastus intermedius close to the bone underneath the rectus, the vastus lateralis down the side, and the vastus medialis toward the inner thigh. Our thigh workout will ensure that each muscle is worked in balance to promote even development. Be sure to read all the following tips and guidelines before doing the quads workout. Here is a bird’s eye view of the workout that you can copy/paste and print out for easy access while you’re in the gym. Or just take a screenshot on your smartphone! Before you start any workout, it’s essential that you warm up properly. Start out with a five minute general cardio warmup to get the blood flowing to your muscles and connective tissues. Good cardio warmup options include brisk walking or jogging on the treadmill, using the ARC trainer, elliptical, or AMT, and stair climbing. Make sure that whatever option you choose, your heart rate gets elevated to a moderate level of exertion for at least five minutes. Alternatively, if a longer cardio session is on your schedule for the day, you could bust that out first. If, like many people, you have tight quads and/or hamstrings, you will benefit by foam rolling each area prior to exercise. 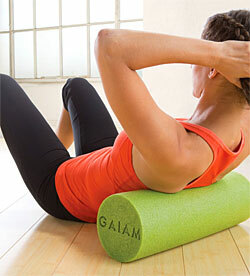 To foam roll the quads, lay prone (belly down) with the foam roll under your thighs. Supporting yourself on your forearms, roll up and down, hunting for any spots that feel knotted or tender. Target this area for a minimum of 30 seconds. Flip over and do the same for your hamstrings. Remember that each muscle group has multiple parts; roll laterally and medially to find the tight spots (for most people, there is more tightness toward the outer parts of the quads and hamstrings). Follow up your foam rolling with a good 30 second stretch for each area. Here are all the details on how to perform each main exercise with perfect form so that you avoid injury and get the best results. Squats are awesome for your quads, glutes, hamstrings, inner thighs, and core. Not only will squats build and tone muscles; they also burn a lot of calories so are quite conducive to body fat loss. Make sure you understand and practice your squat form before adding a lot of extra weight. I see a lot of bad squats as a trainer in the gym, and bad squats are major injury risk for the low back, knees, and hips. Good squats, on the other hand, are awesome for stabilizing and strengthening these same areas. Practice bodyweight squats until you are completely comfortable with the form and full range of motion. With feet hip width apart, reach back behind you with your hamstrings, sitting back as if you’re going to sit into a low stool. Keep your core tightened so that your spine stays stable. Make sure that as you squat, you get down low by sitting back and NOT by bringing your knees forward. Keep your chest lifted and your gaze level. A full range of motion squat requires you to drop your hip crease just below the tops of your knees. Make sure your knees never go forward beyond your toes even at the very bottom of the squat. Once you have mastered the bodyweight squat, add resistance by holding a barbell on your back behind your shoulders (back squat), a barbell on the front of your shoulders (front squat), or a kettlebell held to your chest by the “horns” (goblet squat). Do 15 reps with a weight that produces muscle fatigue within that rep range, rest 30 to 60 seconds, and repeat for at least one more set and up to a total of four sets. During step ups, you will be working similar muscles to the squat, but from a different angle. Since you’re using one leg at a time, step ups are great for presenting and extra balance and stability challenge. To maintain proper alignment, your quads, hips, and inner thigh muscles must be firing on all cylinders. Step ups are great for pointing out and correcting any weak links while building the thigh muscles and burning lots of calories. Set up a step (plyo box or aerobics steps) that is at least 12 inches high. Working one leg at a time, place your foot on the step and drive into your heel to stand all the way up, bringing your free knee up so that you end up balancing on the working leg. Put the free leg down and then the working leg back down on the ground, being sure to keep your knees in a straight alignment at all times. Many women’s knees collapse inward during step ups, so keep an eye on that and be sure to push from your glutes to encourage your knee to stay straight. Perform 15 reps. If using bodyweight as resistance on the 12 inch step proves too easy, you have a couple options to progress the exercise: (1) use a taller step, or (2) add resistance by holding dumbbells or kettlebells at your sides. Make sure you keep ideal upper body posture (chest high, gaze level) as you experiment with adding resistance. Repeat for 15 reps on the other side, then do each side a minimum of once more for a total of at least two sets per leg. Don’t get it twisted: the squat press machine and regular squats (exercise 1) are complementary but NOT interchangeable. To really work on your quads, you should be doing both exercises. Always get your squats done first and do the squat press some time subsequently. The angle and range of motion is what accounts for the difference. The real squat is more demanding, working not only the quads but the glutes, hamstrings, and core quite heavily. The squat press works these areas too but puts more emphasis on the quads and less on the other muscles. If your gym has the squat press where you are lying on your back and pushing the plate diagonally upward, use that machine because you will get more range of motion in your hips. Only use the standard selectorized leg press if you don’t have that as an option. Load the machine with your desired amount of weight plates and get in position. 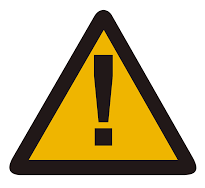 Different brands have different operating mechanisms so read the placard before beginning so you know how the plate release works. Once you are all set, go for as much range of motion as your hips and knees tolerate. Press your weight into your heels as you straighten your legs. Make sure you don’t lock your knees too abruptly at the end range; go for a controlled, soft endfeel. Complete 15 reps, rest for 30 to 60 seconds, then repeat for at least one more set and up to a total of four sets. The leg extension machine is not for everyone, but if you REALLY want to build up and define your quads, you should include two sets here at the end of your main exercises. If you want to tone and lose fat rather than add mass and definition, you can skip this one as it tends to add some mass. Unlike other exercises in this workout, don’t go for total muscle fatigue during leg extension machine sets. It compromises your knee joints and just isn’t worth it. Instead, choose a challenging weight that generates a good muscle burn but not total fatigue. Set up the machine to fit your body dimensions. As you start pressing your legs straight, put your hands on your thighs so you can feel your quads working. Make sure you can feel your whole quad working, including the inner, middle, and outer part. If you’re not checking, your outer quad may try to rob all the work. With repetition, an overdeveloped outer quad can cause your patella to track incorrectly, so make sure you’re checking. Complete 15 reps, rest, and repeat for one more set. You’ll only need two sets of this exercise rather than two to four like the other exercises. After all the sets of the main workout, completely burn out your quad musculature by doing two wall sits to fatigue. These will burn so good after all the hard work you’ve been doing! This exercise is just about as simple as it gets. Put your back against a wall and slide down until your knees and hips are at 90 degrees similar to the bottom of a squat. Tighten your core and sit with your back super flat against the wall. If you pulse your arms with your palms toward the wall, the time will go faster and it will increase your core muscle recruitment. Keep breathing and hold until your legs reach fatigue. Slide your back up the wall to stand back up and then rest about 30 seconds to allow your legs to recover. Then repeat another wall sit to fatigue. While quad and thigh workouts are a major piece of your full-body fitness plan, remember that they are not your only consideration. Strive for balance between body parts and between the front side of your body (anterior chain, which includes the quads) and the back side of your body (posterior chain, which relies on your glutes and hamstrings). I can recommend a couple different options for blending quad workouts into your week-by-week training strategy. Full Body Option: Do your quads exercises three times per week as part of a full body routine that includes exercises for your glutes, hamstrings, chest, back, and core. Make sure you do the larger, heavier, multi-joint exercises first if you are doing all the body part together. Upper/Lower Split Option: If you want to lift more than three times per week, you’ll need to set up a weight training split where you’re working different body parts on different days to allow each muscle group enough recovery time. A common split that is easy to set up is to work upper and lower body on different days. In this case, just include your quad exercises on lower body days and be sure to include exercises for your glutes and hamstrings. In this scenario, train legs two days per week and upper body two days per week, alternating zones. Push/Pull Split Option: Some people prefer a push/pull split routine where all pushing exercises are grouped together on one day and pulling exercises are all grouped the following day. This only tends to work well for people who have achieved good athletic condition. You can alternate pushing and pulling days. Quads exercises (at least the ones I’ve included in the Best Quads Workout) are all considered PUSH exercises. So are chest exercises such as bench press and push ups. Examples of pulling exercises include deadlifts, hamstrings curls, pull ups, and rows. In this article, we’ve talked a lot about weight training strategies. However, no matter what fitness goals you hold, everyone needs to reach a certain baseline of cardio exercise each week for general health. For body fat loss, you will need to add more. Guidelines are as follows: 90 minutes of moderate to vigorous cardio for health, well-being, and weight maintentance; at least 120-150 minutes moderate to vigorous cardio for weight loss. Spread your cardio throughout the week into three to four sessions rather than marathoning. Here are a couple cardio considerations that are specific to quad muscle development: know that extended low to moderate cardio can actually shrink the muscle mass in your legs. 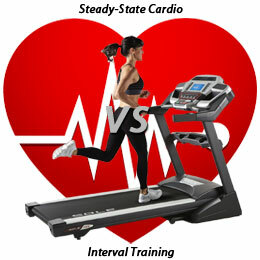 So if you are looking to build and tone your leg muscles, shorter, more intense cardio sessions are a better choice. Some women who feel their leg muscles are too bulky will actually do longer duration, lower intensity cardio for this reason. However, this tends to be a bad strategy in the long run for most women for a couple of reasons: when you have less lean mass, you will burn fewer calories. So when you stop doing all that extended cardio, weight maintenance becomes more difficult. So choose your cardio wisely. Shorter, more intense interval training sessions of 25 to 30 minutes a few times per week work well to promote weight loss while maintaining muscle mass. Cardio choices that are especially good for leg muscle toning and building include hill climbing, stair stepping, and the ARC trainer or AMT. 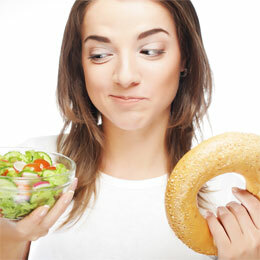 No matter what your specific fitness goals are, the importance of nutrition can’t be overstated. If your main goal right now is fat loss and muscle toning, you need to be eating at a calorie deficit to allow fat loss to occur. If your main goal at the moment is muscle bulking, you will need to eat at a slight calorie surplus. Regardless of whether you are eating at a deficit or a surplus, your protein intake needs to be adequate to ensure that your lean mass doesn’t waste (in the case of a deficit) and that your muscles are able to build (in the case of a surplus). Protein is used by the body as the building blocks of muscle. To build and maintain muscle effectively, most women will need 75 to 100 grams of protein per day. Good whole food sources of protein include lean meats such as chicken or turkey, fish, greek yogurt (make sure it’s strained), quinoa, and beans combined with rice. If you struggle to squeeze in enough protein through whole foods, try supplementing with a high quality whey protein isolate. Thank you for reading this article. Now you know my favorite quads exercises and quad muscle building tips. You are all set to start building crazy quads! Did I miss any of your favorite exercises or training tips? Let us know in the comments below!